SAN JOSE, Nueva Ecija — Re-electionist Sen. Bam Aquino advised concerned government agencies to be vigilant against smuggling following the enactment of the Rice Tariffication Law. Sen. Bam said the government must ensure that farmers will benefit from the 35-percent tariff imposed on imported rice from Southeast Asian neighbors to help make them more productive and competitive. “Itong pagpasok ng bigas mula sa iba’t ibang bansa. Kailangang ma-manage nang maayos. Napakasakit naman kung ang kikita sa Pilipinas, magsasakang dayuhan at hindi magsasakang Pilipino,” added Sen. Bam. As the law presents many concerns and challenges, Sen. Bam said the government must focus on ensuring the livelihood of Filipino farmers and their families amid the entry of imported rice in the market. “Unang-una, in the short term, iyong nakalaan na P10 bilyong pondo para sa mga lugar na apektado ng rice tariffication, dapat makaabot sa kanila,” said Sen. Bam, referring to the Rice Competitiveness Enhancement Fund. “Dapat matiyak na walang magutom, mabigyan ng subsidiya, at masigurado ang kapakanan ng kanilang pamilya,” he added. The fund is earmarked to support mechanization, credit assistance, seed development and for extension services for farmers to help them become more productive and competitive against imported rice. “In the long term, matulungan natin sila na maging produktibo upang mapantayan nila ang presyo ng papasok na bigas,” stressed Sen. Bam, who is running under the Otso Diretso slate. 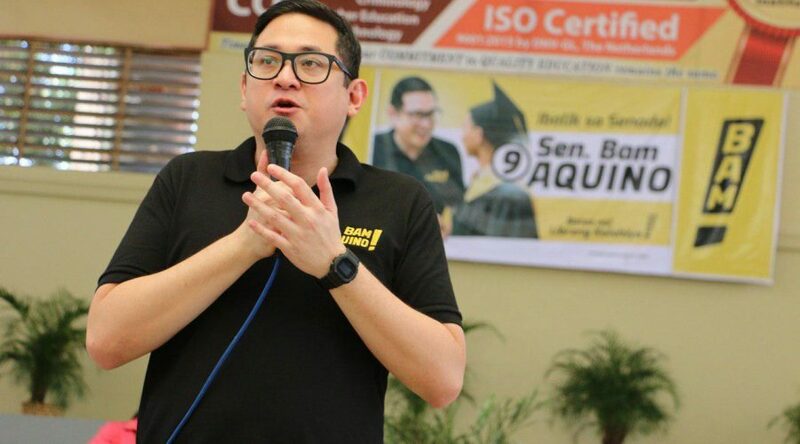 Re-electionist Sen. Bam Aquino expressed gratitude to the People’s Choice Movement (PCM) for choosing him as one of the 10 senatorial candidates it will support and campaign for in the May elections. “Taos-puso po akong nagpapasalamat sa People’s Choice Movement sa kanilang pagkilala at tiwala,” said Sen. Bam, who is running under the Otso Diretso slate. “Napakalaking bagay rin po sa akin na napahalagahan po nila ang ating mga nagawa sa Senado. Ito po’y magbibigay lakas sa akin magpatuloy kahit sa gitna ng mga paninira,” added Sen. Bam. Composed of various Catholic, evangelical and Protestant groups, the PCM recently held a convention where more than 100 select leaders participated in the selection process. The delegates based their selection on character and honor, competence and abilities, faithfulness to public service, faithfulness to God, the Constitution and the law. Sen. Bam topped the selection process with 120 votes, followed by fellow Otso Diretso bets Chel Diokno and Pilo Hilbay, who both got 118 votes, and Erin Tanada (112). ”Napakamakabuluhan po ng kanilang suporta dahil mula sila iba’t ibang mga faith-based groups na ang pamantayan sa pagpili ay kung ano ang makakabuti sa bayan,” said Sen. Bam. Sen. Bam assured PCM that he will continue defending the welfare, dignity and rights of the Filipino people. Former Cong. Neri Colmenares (111), Samira Gutoc (103), Romy Macalintal (97), Gary Alejano (89), Mar Roxas (82) and Sen. Grace Poe (66) also made it to the list. 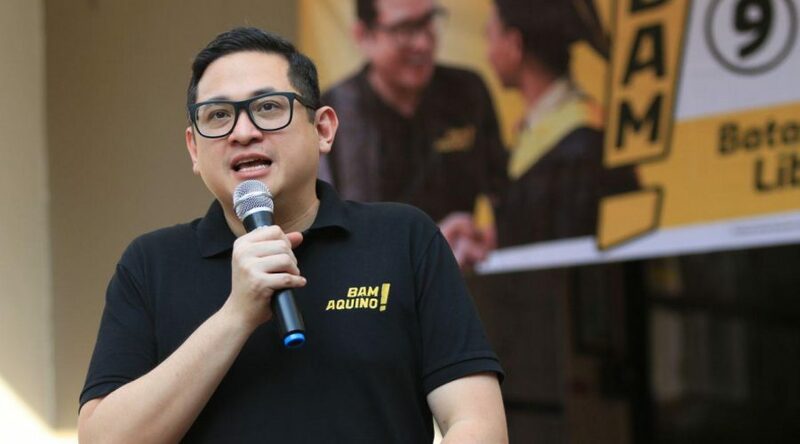 As a constant subject of fake news and black propaganda, Sen. Bam Aquino stressed that a debate would be a perfect stage to inform voters about candidates’ accomplishments and their platform and plans for the country. Also, Sen. Bam said the debate will be an opportunity for him to address the fake news and other black propaganda being thrown at him online. “Maganda itong paraan upang masagot natin ang lahat ng mga ibinabatong fake news at mga paninira sa atin sa social media,” said Sen. Bam, who is running for re-election under the Otso Diretso slate. Sen. Bam and other Otso Diretso bets asked the Commission on Elections (Comelec) to arrange a debate with the administration bets, but the poll body turned down their request. “Sana payagan na lang na ang mga kandidato na magdebate, iyong kandidato ang magpalitan ng talakayan para makita ng taumbayan, ma-compare ano ba ang mga plataporma namin,” said Sen. Bam. Sen. Bam also shrugged off President Duterte’s criticisms against him and other Otso Diretso bets, saying it is part of the political process. “Ganyan naman po iyan, that’s normal in any electoral process. May mga manok siya, may mga oposisyon. Pero sa kadulu-duluhan ng lahat, ang taumbayan naman ang pipili,” said Sen. Bam. However, Sen. Bam maintained that the voters should elect candidates who will fight for their welfare and protect their rights. “Dapat piliin ng taumbayan ang mga kandidato na kampi sa kanila, na magtatrabaho para sa kanila at walang ibang boss kundi sila,” said Sen. Bam. “Ihalal natin ang mga kandidatong hindi mangungurakot, hindi pahirap, hindi sunod-sunuran lamang, at higit sa lahat kampi sa mga mamamayan,” the senator added. 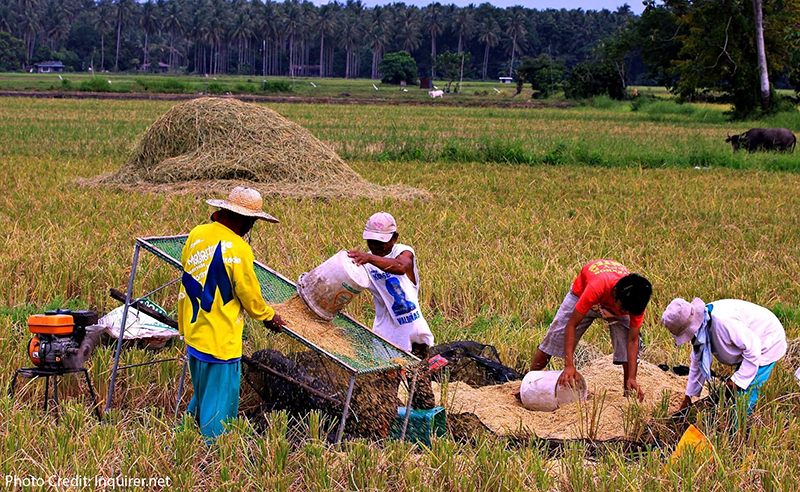 Sen. Bam Aquino urged the government to ensure the immediate implementation of subsidy to rice farmer as he expressed concern about the effects of the rice tariffication law on the livelihood of tillers and their families. “Mahalaga na ang ating mga magsasaka, mayroong safety net para sa kanila dahil maraming lugar ang mahihirapan sa pagpasok ng imported na bigas,” Sen. Bam said during a meeting with farmers in Urdaneta City, Pangasinan yesterday. “Ang challenge natin, ngayong na papasok na iyan in the next few months, kailangan ang programa para sa ating rice farmers ay naka-ready na,” the senator added. The law includes a subsidy for farmers in the form of a Rice Competitiveness Enhancement Fund to support mechanization, credit assistance, seed development and for extension services for farmers. Sen. Bam believes the Department of Agriculture (DA) should immediately deliver the subsidy under the law so that the livelihood of rice farmers will not be affected by the expected deluge of imported rice in the market. “In the short term, baka kailangan talaga ng subsidiya para hindi sila magutom at hindi mawalan ng hanapbuhay,” said Sen. Bam. 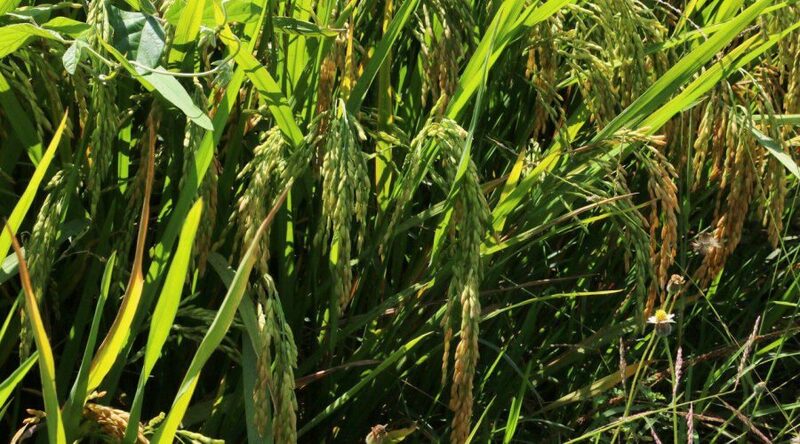 In the long term, Sen. Bam said the government should help rice farmers transition to other alternative crops that will help them compete in the market. While the law paves way for steady supply of affordable rice in the market, Sen. Bam said the government should balance the situation by also ensuring the livelihood of Filipino farmers and strengthening the country’s food security. “Importante na mababa ang presyo ng bigas sa merkado ngunit mahalaga rin na may sapat na produksiyon ng bigas sa ating bansa upang food secure tayo,” Sen. Bam explained. 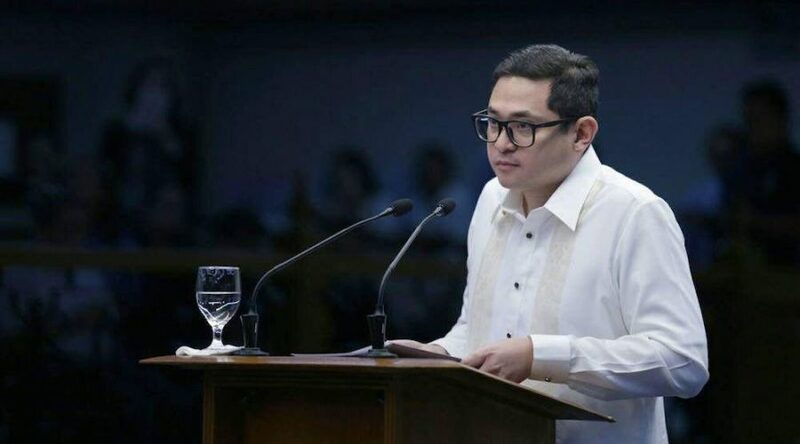 Re-electionist Sen. Bam Aquino prodded the administration to defend Filipino fishermen following reports that some of them were prevented by Chinese vessels from fishing or landing on the sandbars around Pag-asa Island in the West Philippine Sea. In a media interview in Pangasinan, Sen. Bam emphasized that the government should have acted earlier on the issue of harassment of Filipino fishermen in the West Philippine Sea. “Matagal na pong isyu iyan at matagal na dapat itong inaksiyunan ng gobyerno,” said Sen. Bam, who is eyeing a second term under the Otso Diretso slate. “Ang hinahanap ng mga Pilipino ay isang gobyerno na sila yung kakampi, palagay ko mahalaga na i-raise na ito formally ng ating gobyerno at huwag nang daanin pa sa pakiusapan,” the senator added. 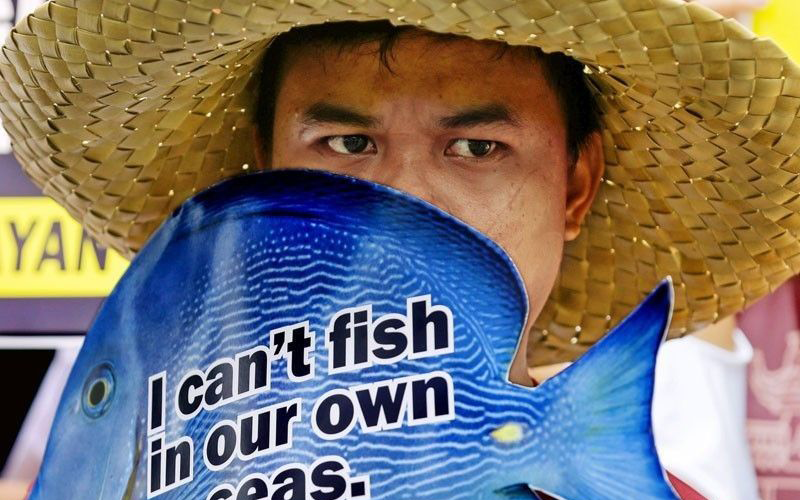 If Sen. Bam will have his way, he said a formal complaint regarding the harassment of Filipino fishermen by Chinese vessels in Philippine waters should be lodged before multilateral organizations so the issue could be threshed out. “Kailangang makita naman ng ating mga kababayan na kinakampihan ng gobyerno ang kapwa Pilipino. Hindi po iyong parang mas pinapaboran pa iyong ibang mga bansa,” Sen. Bam emphasized. 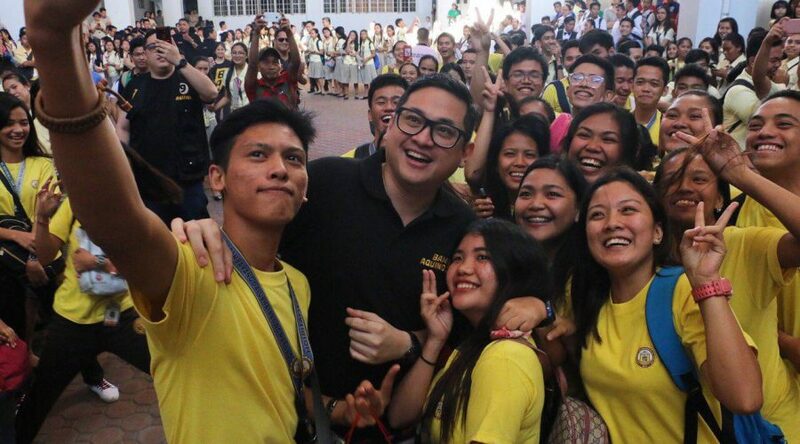 Sen. Bam Aquino’s re-election bid in the May elections received a major boost after he was endorsed by Minority Floor Leader Franklin Drilon in his hometown of Iloilo City. 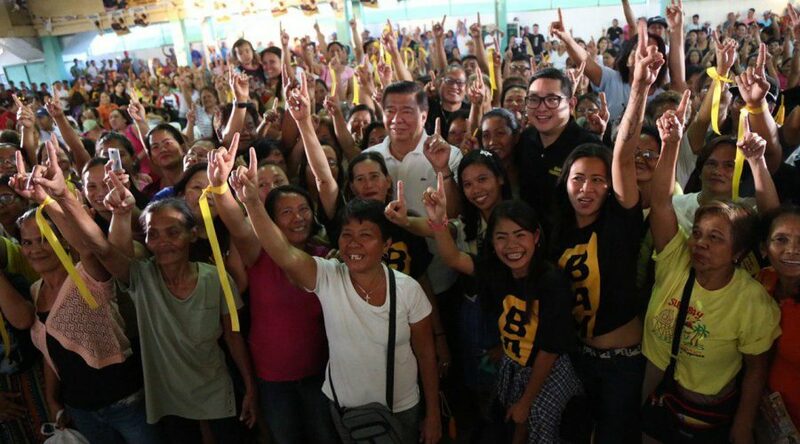 In a rally in Iloilo City on Wednesday, Drilon called on his fellow Ilonggos to make Sen. Bam their No. 1 senator in the upcoming polls. “Dapat No. 1 si Bam dito sa city. Iyan ang hinihiling ni Sen. Drilon sa inyo dito. Dahil makakatulong siya sa kapakanan ng mga Ilonggo,” Drilon told the crowd at the North Fundidor Gym in Molo. “He’s one of the brightest Senators I’ve worked with. He’s sincere. He’s a man who is sincerely concerned for our welfare- especially sa future ng kabataan,” added Drilon, saying Sen. Bam is the first senatorial candidate in the May elections that he’s endorsed. 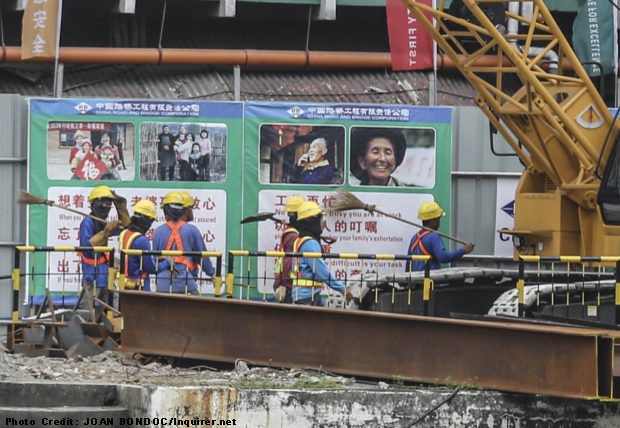 Drilon described Sen. Bam and the Aquino family as a dependable ally in the development of the province of Iloilo, citing some projects that were funded during the previous administration. “Sa aking pananaw, ang ating city kailangan pa ng tulong. Kailangan ko si Bam. Kasi 24 kami. Kung ako lang, mahihirapan ako. Kailangan ko ng maaasahan sa Senado. At si Senator Bam ay maaasahan,” Drilon emphasized. Drilon also laid down Sen. Bam’s legislative accomplishments, saying he pushed for the passage of several important laws that focus on the welfare of the Filipino people, including the free college law that is being enjoyed by thousands of Ilonggo students. In a separate interview, Sen. Bam thanked Sen. Drilon for his overwhelming support for his candidacy. “Napakalaking bagay ng endorsement ni Sen. Drilon dito sa Iloilo. Mahal na mahal sya at nirerespeto ng mga Ilonggo,” said Sen. Bam, who has 40 laws to his name in his almost six years as senator. 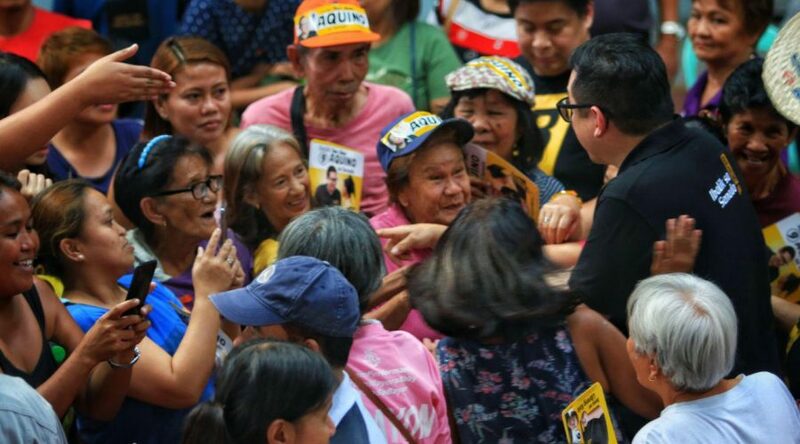 Only an independent Senate that is not beholden to anyone will push the country forward as it will work for the interest of the Filipino people, Sen. Bam Aquino stressed. “Kung ang Senado ay sunud-sunuran lamang sa kagustuhan ng administrasyon, walang pipigil sa mga polisiya na nagnanais taasan ang buwis ng mga mamamayan, mga batas na nagpapataas ng presyo ng mga bilihin,” said Sen. Bam, who is running for re-election under the Otso Diretso coalition. Sen. Bam said an independent Senate will prevent the passage of any law that is detrimental to the welfare of the public, like the controversial Tax Reform for Acceleration and Inclusion (TRAIN) Law that burdens the Filipino people with high prices of food and other goods. An independent Senate also ensures check and balance between branches of government and serves as watchdog against corruption, guaranteeing that those involved in anomalies will be punished. “Ang isang independent Senate ay magbabantay laban sa mga magnanakaw sa pamahalaan at maniniguro na ang mga ito’y mapaparusahan,” stressed Sen. Bam. An independent Senate will also guarantee that the will of the people is being followed, and not just serve as a rubber stamp of the administration. “Napakahalaga ang ibang boses sa Senado dahil ito ang maninigurado na ang sinusunod ay di lang ang kagustuhan ng administrasyon kundi ang kagustuhan ng taumbayan,” said Sen. Bam. Also, attempts to change the 1987 Constitution to remove term limits of elected officials and change the system of government to fit their political agenda will have no chance under an independent Senate. Sen. Bam stressed that an independent Senate can be achieved by selecting candidates that will work for the welfare of the people and not serve the interest of the administration. “Sa darating na Mayo, kilatisin nating maigi ang mga kandidato para matiyak na sila’y magsisilbi para sa interes ng bayan at hindi para sa kapritso ng administasyon,” said Sen. Bam. In his almost six years as senator, Sen. Bam has 40 laws to his name, including the landmark Free College Law that he pushed as principal sponsor during his time as chairman of the Committee on Education.